Interior design, cosmetic refurbishment, home styling, colour consultations, furniture packages, window treatments are just a few of the many services provided by Dani Louis Design. I love to help my clients achieve their full potential with their own homes, investment properties or for sale. Other clients need only require some guidance/ consultation on a design they already have in progress. Being in collaboration with my clients is something I thoroughly enjoy. If you have time/budget restrictions or just need help on an individual room then DaniLouisDesign is for you. We have tailored our design service around saving our clients time and money whilst achieving incredible results. Interior Design By Jo is a creative design and decoration consultancy specialising in Bathroom and Kitchen renovations and functional and creative designs and decoration services to clients. We can help with your design idea, taking the stress and uncertainty out of any project. 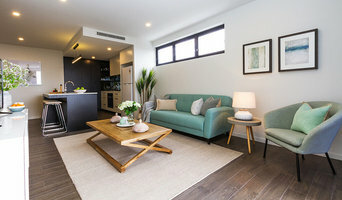 Building a new house or Multi Residential Units, Renovating, Selling or simply Updating a room – We will guide you from design brief and concept creation through to sourcing and selecting the materials, furniture, fabric or artwork that gives the finishing touch to your home, multi residential units or business. Our experience and objectivity in looking at the space available, will ensure your project has maximum functionality and aesthetics. dion seminara architecture are Brisbane architects that are passionate about creating beautiful homes that enhance our clients’ lives. We take the time to truly understand our clients’ lifestyle needs and we have the talent and experience to create designs that perfectly suit those needs. To achieve the best result for your project we offer a holistic approach including the following services: Building design Interior design Landscape design We are specialists with private clients who are completing renovations or new home projects and value a transparent approach. 2006,2009,2011,2012,2013,2015 and 2017 Australian Kitchen Designer of the Year Design Director of Sublime (formaly Sublime Cabinet Design), one of Australia’s most awarded kitchen and bathroom design Companies, with over 90 national, regional and State awards since the business exception in 2005. As a family owned and locally operated business with over 35 years creating bespoke kitchens that work for you, we are proud to be a leading local kitchen specialist in Brisbane. Using only high-quality products and materials along with experienced tradesmen, we can ensure your new kitchen will meet your highest expectations. Here at House of Kitchens we believe that your home should be an extension of your personality which is why we listen to you, the owner and design and install kitchens that reflect your taste, requirements and budget. Fully licensed to project manage all aspects of your renovation, you can be confident that from design and construction right through to installation we guarantee our friendly staff will provide an enjoyable, stress free experience. Architects and Custom Builders under one roof, with one goal - to create the home that inspires you. 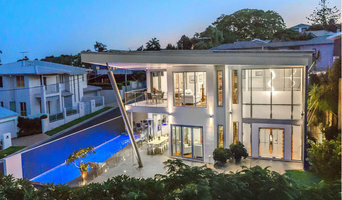 For 22 years, Civic Steel Homes has been creating award winning architect designed homes through Brisbane, Sunshine Coast and Gold Coast regions. Our architect understands the Queensland climate and lifestyle very well. This is evident in the ‘liveability’ of our Eco GreenSmart homes. Civic Steel Homes’ architect specialises in designing customised homes with a focus on function and liveability. We design and build contemporary homes of the highest quality, durability and style, individually created to suit not only our clients' exact lifestyle requirements but (equally important) their project budgets. As our clients will tell you, the simplicity of dealing with one company from start to finish makes a profound difference. The fact we have our Architect and Licensed Builder working as one ensures your project budget stays on track, arming you with the information required to make good value decisions. Our team has many years of experience dealing with sloping or steep land, acreage sites and the issues of bushfire management, small lots in the city and all the town planning challenges surrounding character code, demolition approvals, and development approvals. Stylus Home Staging has an amazing team of property styling and design stylists, where we specialise in preparing your home, investment property or display home for sale. 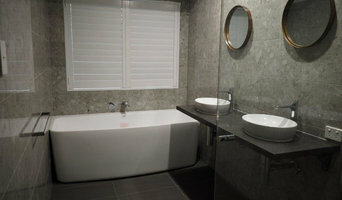 We like to create that “WOW” by customising each home so we can impress your prospective buyers. Our aim is for your buyers to feel emotionally connected and inspired to move into the home. All of our experienced stylists have creative skills, passion for design and decoration, and the love for property. 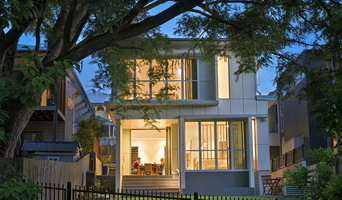 Urban Design Solutions is a Brisbane based building design studio specialising in the residential market. You are assured of unique, innovative designs for your project. If you crave good customer service then you have come to the right place! You will discover that our briefing process allows us to really get in touch, not just with the project, but also with you as a person, your needs and your desires, to deliver you the best possible result within your budget. Affordable stone Benchtops is an importer and manufacturer of quality stone Benchtops for your kitchen and bathroom tops. We offer a wide array of colours that can be viewed in full slab form at our factory in Rocklea on appointment. Save money for a quality benchtop with a direct importer and manufacturer. YKDesigns is an award winning design practice creating designs for new bespoke houses, residential renovations and multi-residential projects in the Brisbane area. We are passionate about architecture and with 20 years’ experience in Queensland we pride ourselves on delivering a first-rate design and documentation service. Our reputation for quality and reliability sets us apart. We listen to the specific needs of our clients and work with them to enhance their lives through architecture. Our desire is to fulfill their brief and forge an exciting new design journey with a positive impact on day-to-day living. Reach out to multiple professionals — especially for larger projects — and don't settle for the first bid you hear. Comparing multiple Brisbane, QLD, AU professionals' bids and experiences can help you find the one that’s best for you. Ask a lot of questions now, so you won't have unexpected answers later. Find a home design professional: Narrow down your search by type of professional and location. Browse Brisbane, QLD, AU portfolio photos, read client reviews and contact each Brisbane, QLD, AU professional for more information. Check out the information in the specialised professional sections too for tips on how to hire the right professional in Brisbane for your project.